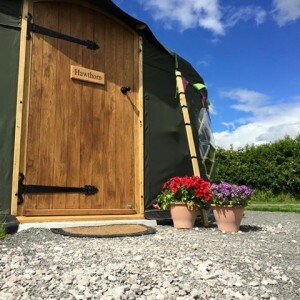 Welcome to Cheshire Farm Yurts, a luxurious glamping experience set in the beautiful Cheshire Countryside, just outside of Chester and located in the rural village of Tattenhall. Our Yurts are beautifully crafted, hand made, comfortable, luxurious but above all, the unique glamping experience. Our designs originate from Mongolia and are made with the highest quality grade canvas too. Unlike the typically hot and humid nylon tent associated with camping, being unable to stand up and move around in comfort, our yurts are the equivalent of the perfect mixture of camping and being at home – comfort is key. 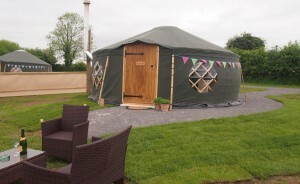 Each yurt can comfortably accommodate four people. A luxurious double bed and two single pull out sofas.. Bedding is provided for these. If you require an extra two people to stay then we are happy for you to bring a couple of air beds and your own bedding for these. Each yurt also contains a log burner for the colder days and an inclusive bbq for the warmer halcyon days, in addition to their own small stove, microwave, and fridge too. We also offer an array of cooking utensils and some local produce is available too. Each Yurt has full electricity and their own independant microwave with grill, bedside lamps and a single hob. Each Yurt also comes to bring freshness to your day and in between too – with exclusive use of your own private toilet and shower. If you feel like you want to try the yurt camping experience, then please get in touch or use our availability checker to book your stay, we would be delighted to welcome you and show you what all the fuss is about.